Something that at least would be useful for me is for the 'edit' button on an object's script property tab to also be able to create a new script or load a template if it is empty. I am constantly writing test code for objects and it requires me to either go back to the assets tab to create the new script or load an existing script and then save it as something else... then go back to the scene tab and that object's script tab to attach/edit the new script i just saved... etc... lots of unnecessary clicks. Agree. The edit button just needs to be enabled all the time. If there is a script just open that. If nothing has been attached then open an empty template. +1. These simple things tend to save the most time. Sutble but very userful. nice suggestion. Any thoughts on this 5-month old suggestion that Josh "liked"? It seems like it would be an easy thing to incorporate and would be immediately useful to people. 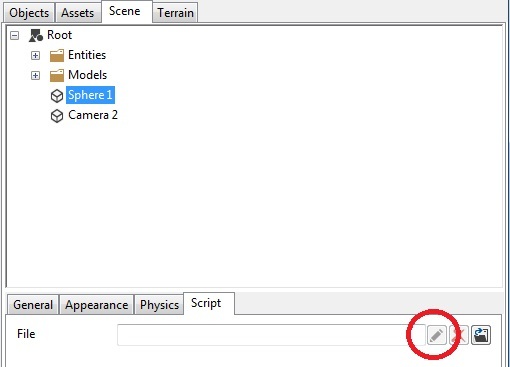 Two years on a suggestion that Josh liked, and I am still having to go back to the assets tab to create a new script instead of just creating it with the object's properties tab.